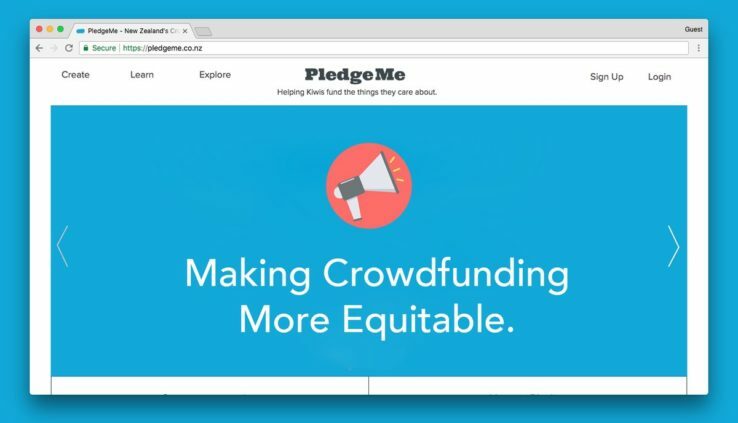 Six years ago we launched PledgeMe into the world, as New Zealand’s first crowdfunding platform. Since then, over 1,200 campaigns have raised funding through PledgeMe, helping Kiwis fulfil their plans and add richness and diversity to Aotearoa. In 2014, we were the first (equal) licenced platform to provide equity crowdfunding in New Zealand. That was a big shift for us, but it also really made sense – helping more Kiwis fund the things they care about, companies in their communities, founders they know, and products they love. To date across our three flagship products of Equity, Lend and Projects, over $27 million has been pledged for folk like Yeastie Boys, Ocho, Parrotdog, Eat My Lunch and Ethique. Since launch, we’ve hosted more than 100,000 pledges, and an even wider network of supporters. We have also recognised the need to work closely with our companies to help them through the early stages of preparing to raise money. 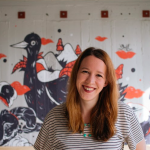 That’s why in 2016 we developed our education programme for companies getting ready to fundraise, CrowdfundingU, which we believe has proved invaluable in helping these entrepreneurs navigate the path to raising money. But, we want to do more. We want to make equity crowdfunding equitable. We want to help even more founders, companies and communities that might not get (or want) traditional funding to grow with their crowds. We want to help even more people raise money, so we’re aiming to grow even faster in New Zealand and expand into Australia with our newly minted licence. And we’re giving you the opportunity to be part of that through an equity crowdfunding campaign for ourselves. PledgeMe has built a brand, and what we believe is a successful, profitable business, in New Zealand. We’ve done this by relentlessly focusing on our core purpose, developing products to help our crowd, and advocating tirelessly to make crowdfunding accessible. But, we’re not there yet. We believe there’s so much more we can do. We want to make equity crowdfunding (and crowdfunding generally) truly equitable. We’ve already seen a lot of success in this with the number of female founders and CEOs getting funded through crowdfunding. Did you know that only around 2% of VC goes to female founders and half a percent to female CEOs in the US? Through equity crowdfunding we’re seeing about 50% of our campaigns have female founders and 40% have female CEOs. But we need to do more. Earlier this year, with the support of Te Puni Kōkiri and in collaboration with Māori Women Development Inc, we decided to create a new way to support indigenous crowdfunding – Tā Koha. We have already designed and delivered a new education programme, and have plans to engage community earlier and more around these campaigns. Our first Tā Koha bunch will be launching in August, and we will continue to iterate and develop this. And, it doesn’t stop there. We believe that equity crowdfunding is a way to support and scale the social enterprise sector. Many founders in this space find it hard to explain their dual purpose of doing well and doing good to more traditional funders, whereas we’ve seen with the likes of Ethique and Thought-Wired, your crowd can get behind both interrelated goals. With almost four years of equity crowdfunding experience under our belt, and a clear focus on making this space truly accessible, we know now is the time to catapult PledgeMe forward by both by expanding in New Zealand and launching in Australia. I’ve been based over in Queensland for the last 10 months, and with our new Australian Financial Services Licence, we’re ready to launch our first campaigns. We would love for you to join us on the next adventurous leg of our voyage on the good ship PledgeMe, deeper into the communities of Aotearoa, westward to Australia and hopefully beyond. PledgeMe is already a Kiwi success story. We aim to grow it into a Kiwi export success story and we look forward to you being a part of that. Register your interest here and we’ll keep you updated as we get ready to launch early August.